This playful, spunky, affectionate dog will melt your heart with just one look from his soulful eyes. Before you scoop him up in your arms you may want to learn a little more about this adorable dog breeds Shih Tzu. The Shih Tzu is one of the most popular choices for small dog breeds. Yes, they are cute, but they also have a variety of other amazing qualities that might just make the Shih Tzu a perfect choice for you. This gentle lapdog originated in Tibet during the early 17th century. Shih Tzu’s were bred by Tibetan lamas to resemble a tiny lion, which is a Buddhist symbol. They soon found their way into the arms of royalty in China. They were highly prized house pets during the Ming Dynasty and thrived under the reign of Empress Dowager Cixi between the years of 1861 through 1908. These lovable house pets soon found their way to the United States where they gained popularity during the 1960’s. Today, they are still one of the most desired small dogs in America. Their sturdy build is covered with an abundance of fur that requires frequent Shih Tzu grooming sessions. Their luxurious hair can be a variety of different colors, including silver and white, brindle and white, liver and white, solid liver, solid black, black and white, solid red, black mask gold, red and white and gold and white. By adult hood they grow to about 8 to 11 inches tall and they weight ranges from 9 to 16 pounds. 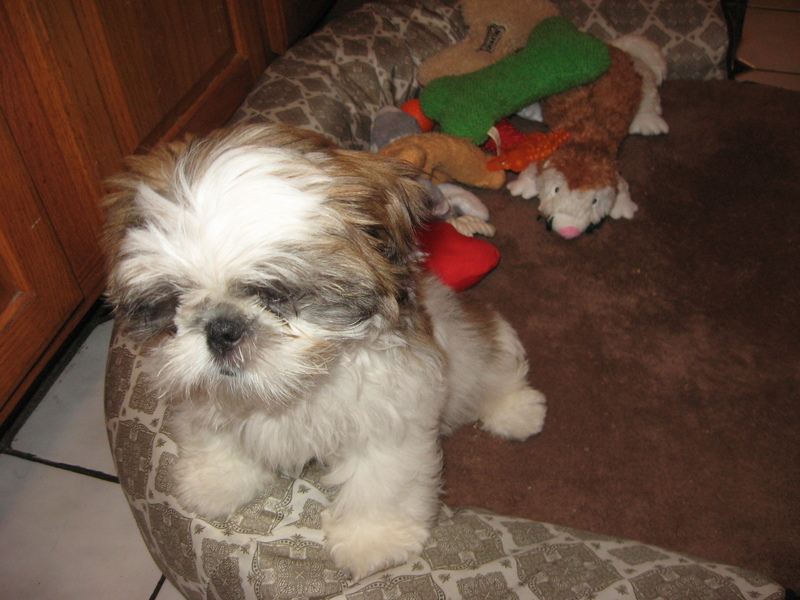 Shih Tzu’s were bred to be companion dogs, and that is still their purpose today. They are kind, sweet, affectionate, playful and spunky lapdogs that bring joy and affection to your life. They are not built for hard labor, other than chasing their favorite ball or toy through the house, and they are meant to live indoors with their companion and family. Shih Tzu’s are happiest when they are playing and snuggling up next to their family members and are very good with children. They can live in almost any type of housing, such as small apartments, homes, townhomes, farms and ranches. They will thrive in almost any living condition, as long as it’s indoors. They do tolerate weather temperatures easily and indoor living is more suitable for their desired lifestyle of being close to their companion. If you are looking for a watch dog, the Shih Tzu is certainly capable of alerting you of someone entering the home, but afterwards, they will most likely try to be friendly to the intruder due to their trusting, friendly nature. Shih Tzu’s are not the type to dig holes or hunt either. They are generally a healthy breed that has minimal health concerns. Shih Tzu’s are more focused on accepting lots of attention and affection from their companion and families, and returning the affection as well. They are extraordinary companion dogs and will enjoy keeping you company and entertaining you with their spunky attitude and playful nature. Shih Tzu puppies are also great to cuddle up with and watch a movie. This playful, spunky, affectionate dog will melt your heart with just one look from his soulful eyes. Before you scoop him up in your arms you may want to learn a little more about this adorable dog breeds Shih Tzu.